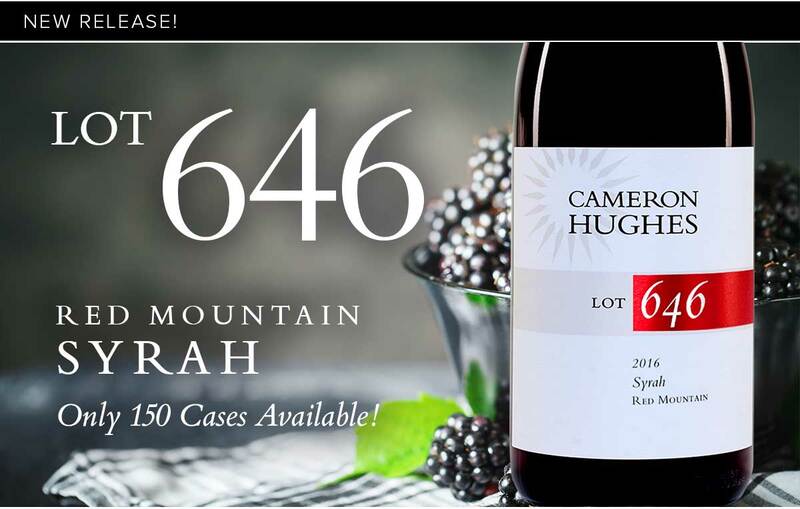 New Release: Boutique Syrah From Washington - 150 Cases Available! My appreciation for the wines of Red Mountain in Washington state has been well documented on this list. Syrah performs extremely well up here, planted in the deposits laid down by the Missoula floods during the end of the last ice age. 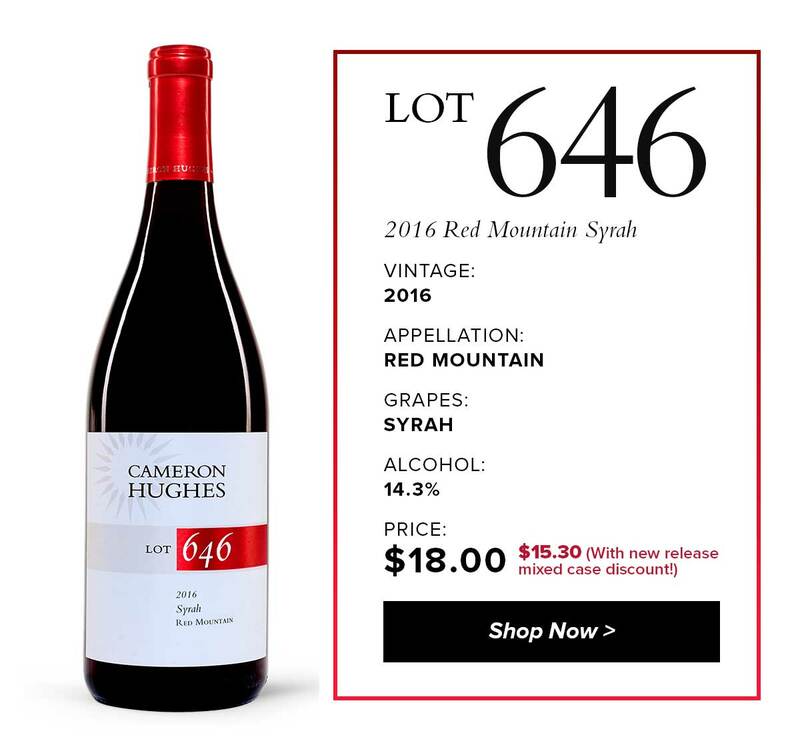 Today’s release, Lot 646 2016 Red Mountain Syrah, comes to us from the same pioneering producer that brought us Lot 575 Red Blend and Lot 660 Cabernet. A rich, ripe expression of the varietal for the region, this wine is just starting to open up after having spent six months in bottle, and is ready to serve with your next savory meal. Lot 646 is one of the smaller productions we’ve picked up from the region – only 150 cases are available! Pouring almost opaque in the glass with a dense core, this is not your typical Red Mountain Syrah. The iodine and pepper notes that often reside up front on reds from this region sit in the background; instead, the blue fruit, red plum, leather, and cocoa are on full display here. The pallet is lush, open knit, and delicious, with dark fruit finishing alongside dusty cocoa and ripe tannins. As a New Release special offer, go ahead and take 15% off any purchase of one case or more through Wednesday night at midnight (Wine Club members get 20% off) as long as the order includes one bottle of 646 (mix and match the whole store!). As always, if you have any questions or need assistance with your order, please don’t hesitate to reply to this email or call 800-805-1971.